At Brown Paper Tickets we love to work with community projects and those who have a DIY approach and mentality. 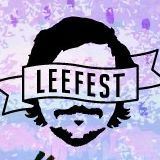 This is why it is such a pleasure to be selling tickets for LeeFest this year. This is a festival that started from humble beginnings with the right mindset, principles and ethics and has now become a major player in the annual festival calendar winning “Best Independent Festival” in 2012 at the Association of Independent Music awards. It certainly has come a long way from starting in founder Lee Denny’s back garden with 150 people, whilst his parents were on holiday. This small community has grown over the years and now the festival will run over 3 days in 2013 with the community swelling beyond 3000. Despite the rise in number the organizers are keen to keep the same atmosphere. As the numbers have grown so have the demographic and the younger crowd has grown out to a real cross section of the population throwing their energy into the mix and making this such a unique event. The growth of LeeFest over the years is a truly staggering achievement, a fact that is aptly demonstrated by this cheeky graphic aid which shows that logistically it has become a different animal over the years. Tags: Delphic, fiction, Kickstarter, King Charles, Lee Denny, Leefest, non-profit, The Other Tribe. On May 30th, tragedy struck the Seattle artistic community. A lone gunman walked into Café Racer, a North Seattle hub of artists and musicians and opened fire, killing four people and injuring one. He then proceeded downtown where he killed another woman while stealing her car. He escaped to West Seattle where he eventually killed himself when tracked down by law enforcement. The shooting affected many of us here at Brown Paper Tickets, with some of the victims being good friends and fellow artists. It also struck a serious blow to the artistic community who considered the Café Racer to be a safe haven that encouraged diversity and creativity. In the weeks that followed, the Seattle arts community rallied and fundraisers were held almost nightly to help raise money for the lone survivor and the families of those killed. We decided that it was important for us to also take part in the fundraising efforts and so we began to put into action the “Cafe Racer Ticket” program as a way to continue supporting those in need long after the newsworthiness of this tragic event wore off. It has been announced that Café Racer will re-open today and so we felt that this would be a good time to announce that in eight weeks Brown Paper Tickets will unveil the Cafe Racer Ticket program. Tags: Artist Ticket program, Brown Paper Tickets, Cafe Racer shootings, non-profit, Official Bad Art Museum of Art, Victims of the Cafe Racer Shooting Memorial Fund. If you’re a runner, you know the powerful effect running can have on a person. Not only is running physically beneficial, it can help you mentally as well. Tired? Having a bad day? Frustrated by something?Need to get out of the house? Work it out with a good jog and you’ll feel better by the end. It’s amazing how a run can give you a new perspective on things. Need an excuse to get out there? How about running to help change lives and benefit communities? 5K events happen almost every weekend and the proceeds go to great community organizations. Tags: Girls on the Run, Girls On The Run Puget Sound, New Balance, non-profit, Seattle, superheroes. I had the pleasure of meeting the organization Arts & Scraps last month in Detroit for the Detroit Maker Faire (a faire based around new ideas for reusing, recycling and creating). At their booth, kids (and adults) used the recycled materials that were provided to creatively think about how these old pieces could be transformed into something new. It was so much fun to see the kids walking around with their creations. Tags: Arts & Scraps, Detroit Maker Faire, non-profit, ScrapMobile.